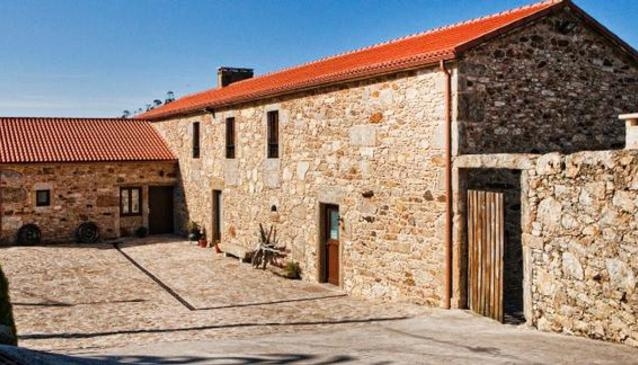 Casa Castiñeira is a property located in Buitirón, a village in Muxia and in the heart of the Costa da Morte.Casa Castiñeira is the result of the restoration of a farmhouse with a history that goes back more than 200 years. Outbuildings like grain stores can be seen that were used by the owners in their daily life. There is a hut where collected fruit was stored. The property is surrounded by a stone wall and has an ample green area, games for children, terrace and private parking. In the recent restoration the original structure was respected to preserve the essence of the XIX Century combined with the comfort of the current period. Within its walls you will enjoy silence and you will wake up at dawn to the sound of nature. Its rural surroundings, privileged situation and exclusive atmosphere turn this house into a true rural paradise.